Below is a brief outline of the Steps in the Rite of Reconciliation to lessen any awkwardness. 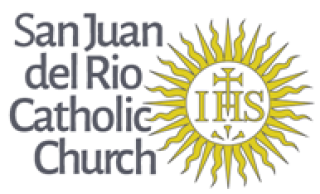 Be assured, the SJDR priests will be over-joyed to guide you through this process! Say "Forgive me Father for I have sinned" then state how long it has been since your last confession to the best of your ability. Example: Forgive me Father for I have sinned. It has been three months since my last confession. State your sins using the Ten Commandments as a guide. Include any sins of omission. Do not purposely hold anything back. After you have told the priest your sins say "I am sorry for these and all of my sins." The priest will give you a penance. (Complete the penance as soon as possible). Say an Act of Contrition (see below). A contrite "I am so sorry" will do. Make the Sign of the Cross and respond, "Amen." The priest may offer praise to God. Father will dismiss you. Often the priest says, "Your sins are forgiven. Go in Peace."